Hi, my name is Jeannette Moore and I have been on some great journeys in my life and continue to follow interesting, new learning paths. I am a licensed Real Estate Broker and Realtor® (yes, there is a difference) in Florida, owner of Green Florida Properties. I began my real estate career in 1985 while working as a financial planner for a large, international brokerage firm, dealing with real estate investment trusts. In 1990, after leaving the brokerage business, flying hot air balloons and tournament fishing, I was drawn back to real estate and entered the residential real estate market in the seaside community where I lived. I enjoyed helping buyers find the best properties to suit their wants and needs and helped sellers market their homes to their best advantage which often included staging their homes. My first year in business I was named “Rookie of the Year” for a large real estate firm with 7 offices. After 5 years of listing and selling homes, and obtaining every credential possible, I decided to take commercial real estate courses to further my knowledge in the commercial arena. Office buildings and warehouses were not that appealing to me so I came up with my own niche, selling bed and breakfasts inns and small hospitality properties. What emerged was my market niche as the first person marketing and selling Bed and Breakfast Inns throughout the state. As these small hospitality properties were what I coined “resimercial”- hybrid residential/commercial properties, there were specific attributes and nuances related to these properties that needed to be understood to market and sell these properties. I took several courses to learn the basics of inn-keeping as well as setting up a couple vacation rentals as my introduction into the “hospitality” industry. Eventually I began giving seminars at B&B conferences throughout the Southeast. During this time I became known as Florida’s “Dream Inn Broker”. In 2014 I made the decision to focus solely on my passion for energy-efficient and healthier homes and closed my B&B business. As the first Realtor® north of Melbourne, FL to earn the NAR (National Association of Realtors) Green designation and one of the first in Florida to become a certified EcoBroker, I continued my education by attending every possible course on energy related topics. 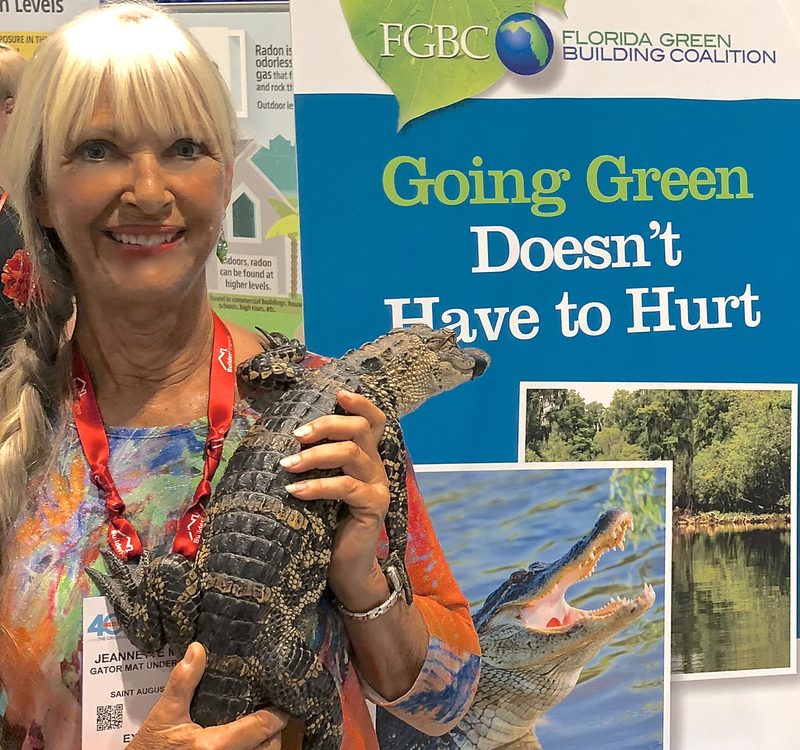 I joined the Florida Green Building Coalition (FGBC) and the North FL Chapter of USGBC (US Green Building Council) in 2008 and quickly became involved in several committees. I have served as a Board Director with FGBC since 2010. In 2014 I became one of three NAR Instructors in Florida certified to teach the NAR GREEN Designation courses to Realtors®. To facilitate listing and searching for property energy features I made a proposal to the local Board of Realtors® on Earth Day 2010, to add green fields to the Multiple Listing database. The green features were added one year later, on Earth Day 2011, making my local Multiple Listing Service one of the first few in Florida to adopt these fields. Now, working with energy conscious Buyers and Sellers is much easier and the incentive for builders is greater! When not listing and showing properties or teaching a class you can find me remodeling my 1950’s concrete block home in St Augustine to be as green as possible, I hope to share things I have learned, resources, ideas and readers’ comments with those interested in joining my journey or just reading what small things you can do to be greener and healthier. No “green-washing” here, so if you would like to work with a Realtor®/Broker who is knowledgable in energy-efficient features, making a house healthier and more comfortable for your family I look forward to hearing from you! …opening doors to healthier and more affordable homes is my goal!